I am interested in investing in a GRS tool to help me hold my work while I cut seats, and set stones. There are way too many options. 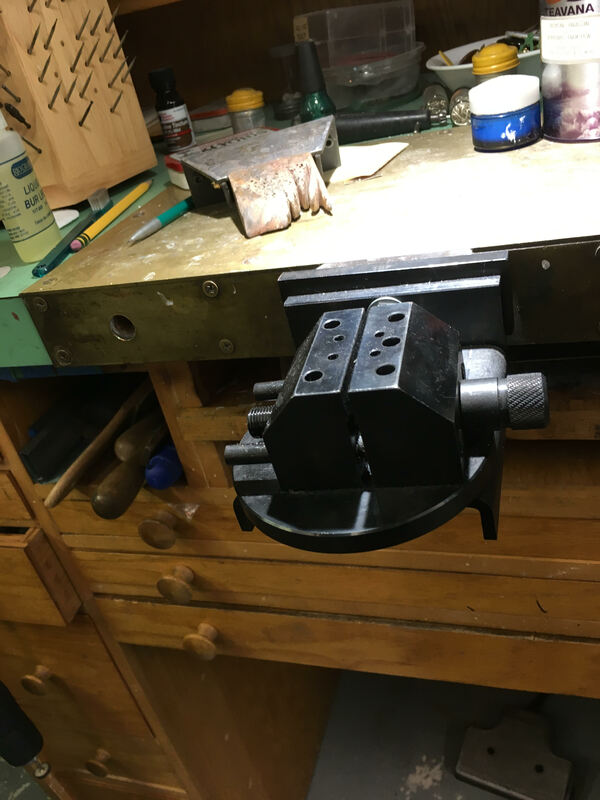 I like the microblock xl ball vise, but then I had folks on other forums tell me they use the benchmate system. 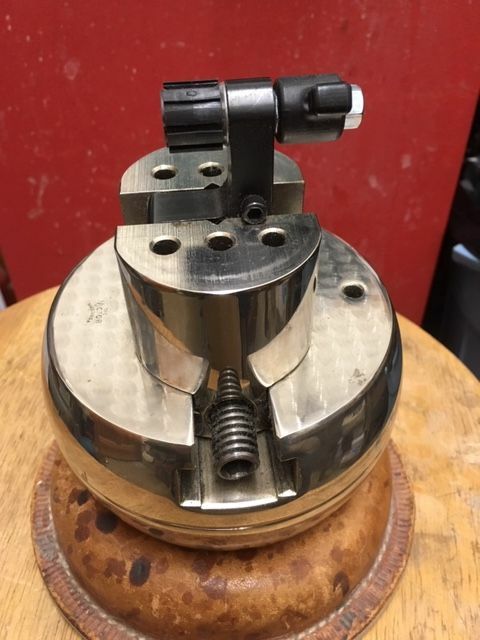 Can someone offer some pros and cons of the benchmate system verses their ball vises? Thanks much for all of your help! We use a GRS wit the micro ball and love it. Note the ring holder in the vise jaws. It’s very handy. 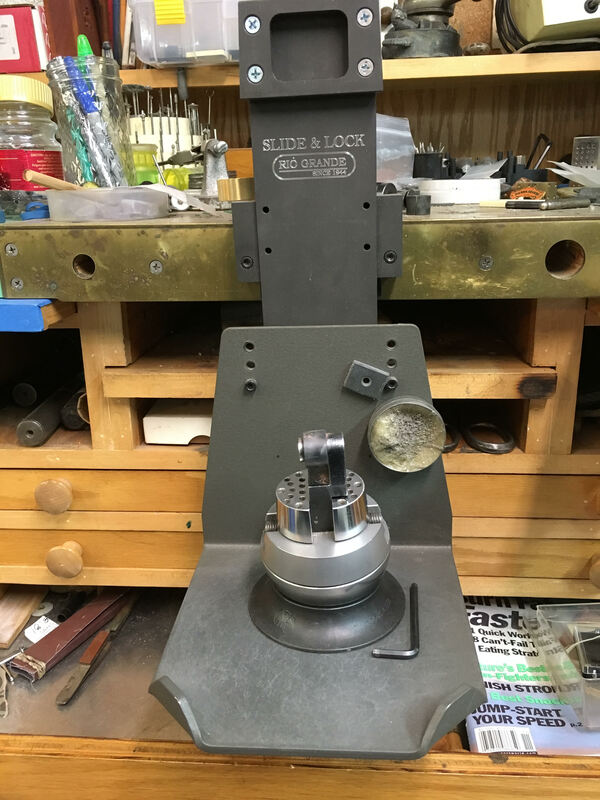 I also bough from Rio Grande the GRS compatible Slide and Lock device so that we can raise and lower the resting plate that the ball sits on to a height that is most comfortable for our necks and backs while working under the microscope. Oh and we just bough this bad boy too. It rotates both horizontally and vertically. Also GRS compatible. It’s heavier and more rigid for clamping onto and holding things that take a bit more muscle to work on. I find the little ball vice a little wobbly for some larger things . You have to keep your hand on them so they don’t move around. Most setting is done in my bench mate with a optavisor at close to eye level. 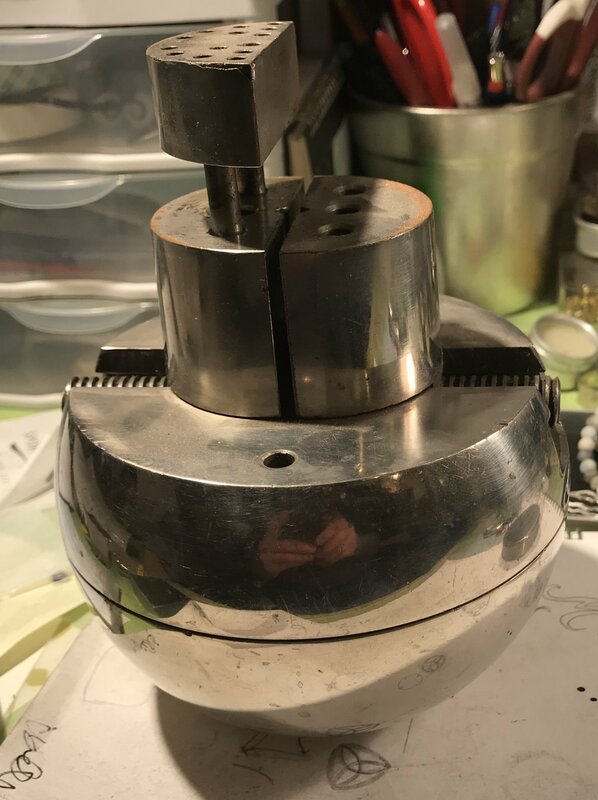 Most engraving is done with a larger ball vice and microscope. 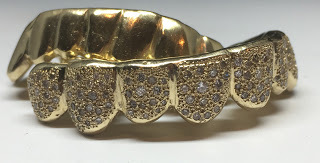 I set diamonds every day. 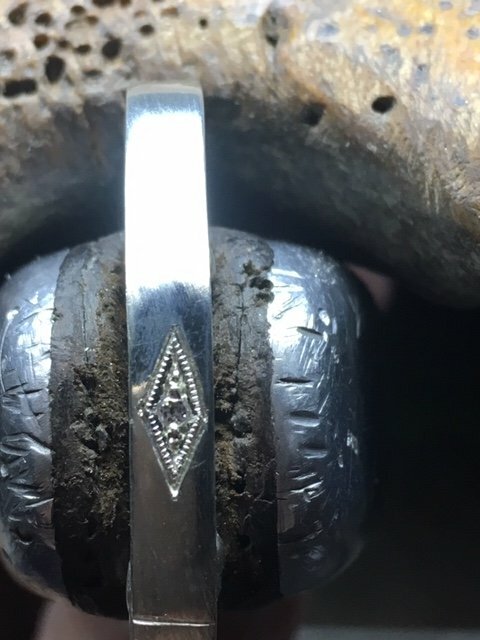 I find that Setting very small diamonds with the microscope and small vice works just fine. Hope this helps. Maybe go with a larger vice to cover all bases. I used only an “Optivisor” with a #5 lens when I was setting the 139, 0.06mm’s diamonds. The other item was simple Bright-Cutting exercise for my newest essay on my blog. I don’t have any microscope, but my only other resource was a 10 power loupe. Not too mention now having near perfect vision after my two Cataract surgeries. My vision is now 20/20 and 20/40. BTW, I tried the GRS-Vice but I think controlling my hands and fingers were slightly limited while controlling the many movements needed in moving around the setting items. Just my own (personal) opinion on this topic! I have an old Victor ball vise. It needs parts… half of the upper jaw assembly and all the pins/accessories. Would be great to be able to resurrect it! Any advise or info would be so appreciated!